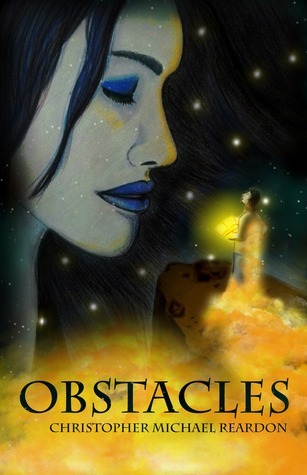 Obstacles is about a man who is ready to face a number of challenges to save a little boy who is dying. For every boon or miracle granted, there is always a price to be exacted and in this case that is the life of the man for the life of the boy. The protagonist is a doctor who is forced to face his own fears and conquer them as well as work with a team of people in some place not quite earth. the rules are quite simple. you play the game until you lose and when you do you are sent back to where you had started with no memory of the obstacles and life goes on. If however you end up winning, then you are completely erased from the face of the earth and all trace of you is removed. it will be as if you never existed. That is of course something very difficult to deal with or comprehend and the author had brilliantly brought out the feelings of the protagonist of this story. At various stages of these obstacles, loyalties are tested and we see that fear, greed and even love make people do things they would never have done outside this situation. This is a well written book and there is an interesting message that we can get out of it. This story also show how much love can change a person and their sense of duty is a strong guiding force.